Tired of wasting your entire day on Facebook? Tired of apps and wish you could return to 1986? Faxbook can help. Delete your Facebook account, dust off that old fax machine, and get connected to us on Faxbook: a real, working fax-based social network for social media dropouts. 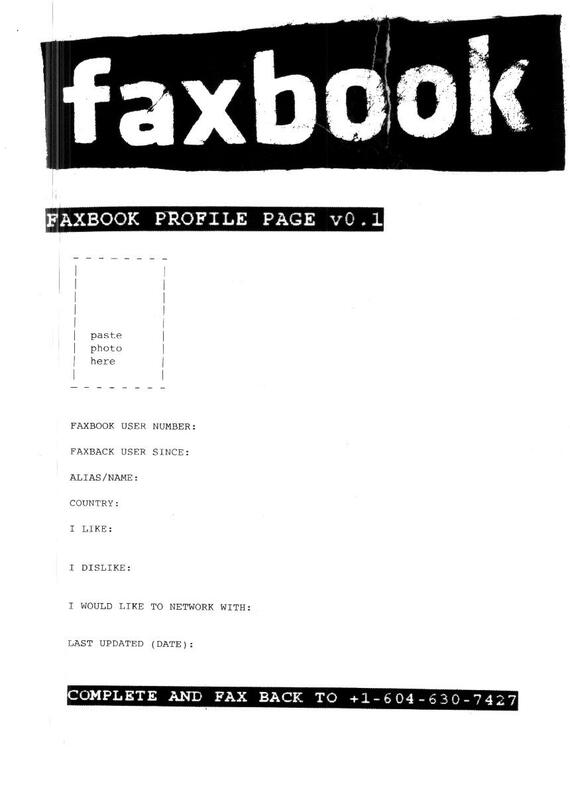 To get started, download the Faxbook profile page, fill it out, and actually fax it to us at +1-604-630-7427. We look forward to hearing from you.